LONDON – September 2017 — Iraq is primarily a state-run economy dominated by the petroleum sector, which, since the 1950s, has been the main pillar of the country’s economic development. Today, Iraq’s economy is the world’s most dependent on oil. Approximately 58 percent of the country’s GDP and 99 percent of its exports are hydrocarbons; oil provides more than 90 percent of government revenues and 80 percent of foreign exchange earnings. However, Iraq’s reliance on oil doesn’t provide a broad base for economic development. Diversifying Iraq’s economy would be a rational step because it would give Iraq a stronger resilience in the face of low oil prices; however, diversifying the economy of a country like Iraq is a very complicated and long-term task. On a short to medium term, considering the recent political turmoil and the fight against the ISIS insurgency in parts of western Iraq, it would be better for the country, to stick to producing and exporting oil. Moreover, the next spring Iraq will hold parliamentary and provincial elections, so it’s difficult to imagine how the federal government could implement these massive economic changes over the months leading to the elections. Iraq requires a continuous flow of revenues to redistribute to its young population—almost 40 percent of the Iraqi population is aged between 0 to 14 years. In summary, if the country won’t be able to provide the young Iraqi citizens who will enter the job market with real jobs, it should at least try to provide them with some economic assistance, which under the current circumstances could only come from the oil revenue. In light of the above, if there is an area that has to be protected in order to continue developing, it would be the Basra Governorate. In fact, of Iraq’s more than 4.4 million barrels of oil per day (b/d), 85 percent of the barrels are produced by the giant oil fields of southern Iraq. Majnoon, Rumaila, West Qurna, and Zubair are located in Basra Governorate; Halfaya is located in Maysan Governorate. Unquestionably, the bulk of Iraq’s proven oil reserves is in the south of the country, while more than 3 million barrels a day are exported from Basra. The oil sector requires infrastructure to enable the extraction and the export of oil, and this infrastructure must be developed at all the levels of the petroleum chain to avoid production bottlenecks as the IOCs present in southern Iraq experienced after the country’s first licensing round in 2008-09. After some years, the infrastructural gap has been partially reduced, but still a lot of work has to be done in Basra Governorate if Iraq wants to increase its oil production, refining capacity, and export capacity. In this regard, the CWC Group, a leading events and training provider for the oil, gas, and infrastructure industries, will host in Beirut, Lebanon, on October 30-31, the Basra Oil, Gas, & Infrastructure Conference. 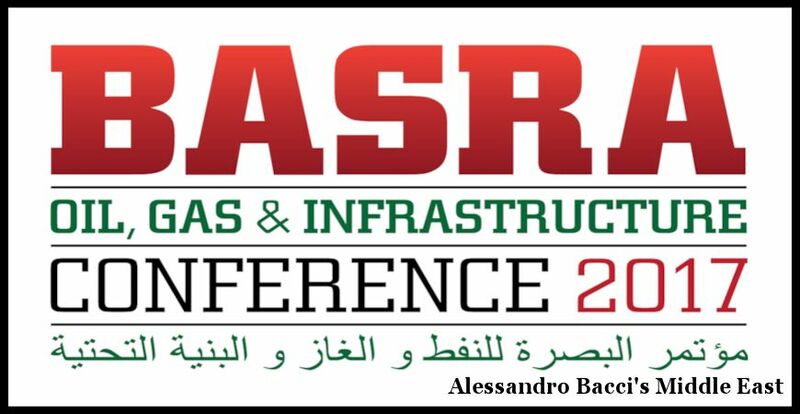 This conference, which is held under the patronage of Basra Governorate, Basra Council, and Basra Oil Company (BOC) and which is now in its fourth edition, is one of the most important business platforms concerning Iraq. The conference will be a gathering point for government officials, projects stakeholders, buyers and sellers working in the southern part of Iraq across several industries in three primary business segments: oil and gas, power, and petrochemicals, infrastructure and construction, transport and logistics. In other words, to have a successful business development in Basra Governorate, which then will have a positive impact on Maysan Governorate and Dhi Qar Governorate, it is important to work at the same time on the development of the three above-mentioned business segments. In this regard, Iraq has to attract private sector funding. Private investment would allow Iraq to establish business relationships with foreign countries. The federal government is currently promoting partnerships between foreign companies and lenders. Last March, the United Kingdom and Iraq signed a historic memorandum of understanding authorizing UK Export Finance, UK’s export credit agency, to work closely with the Iraqi authorities to identify suitable infrastructure development projects that will utilize UKEF’s export finance support for the UK companies. Thanks to this initiative the United Kingdom has agreed to provide up to $12 billion of support to Iraq over the next ten years. Building infrastructure in Iraq could serve to improve the lives of millions of Iraqi citizens, to expand private sector activities, and to create new jobs for the Iraqi population—instead, as a matter of fact, when petroleum production is up-and-running in any country in the world, it generates revenue, but it doesn’t create many permanent jobs. Basra Governorate is the federal government’s revenue generator, so it must be given top priority in Iraq to secure the private investment required to close the infrastructural gap. In addition, Iraq has to improve the environment of doing business, as recently underlined by the World Bank through its Doing Business indicators.